Every year, thousands of investors are taken advantage of by the very professionals they turned to for help with their money. Kiesel Law LLP has a long tradition of representing people who have been injured and wronged due to the negligence, fraud, unfair practices or other conduct of businesses and individuals. Working with industry experts we have developed a financial services practice group that seeks to represent individuals and institutions who have suffered losses due to the fraud and malpractice of financial professionals and their affiliated companies. selling so-called “alternative” or exotic investments that are complicated and often structured in such a way that excessive fees and costs are paid to the financial services company with the financial product doomed to failure. 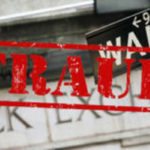 As shown by the financial crisis of 2008, even the largest, most profitable, and allegedly “reputable” financial services companies often engage in these types of wrongful and illegal conduct. If you think you have been the victim of one of the practices above, or one like them, please contact us for a free consultation by clicking below.